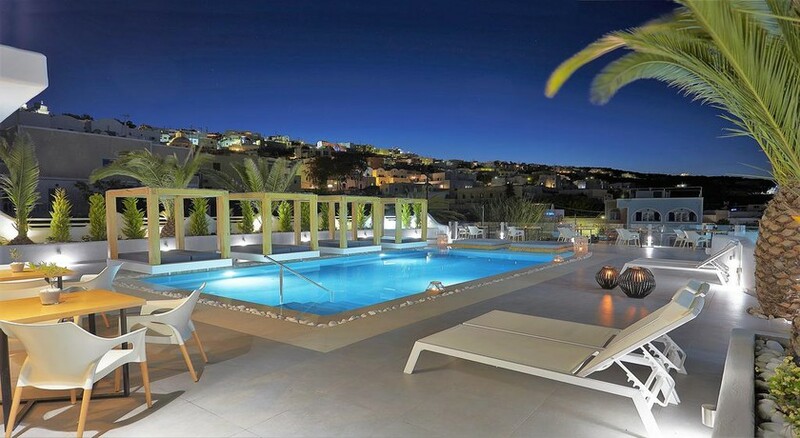 Renas Suites is situated in Fira, the capital of Santorini Island, only a short stroll from the city%u2019s most famous areas. 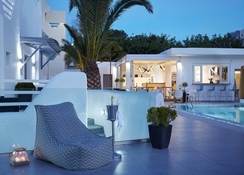 This elegant boutique hotel in Fira prides itself in being family friendly, welcoming couples and groups of friends to experience Greek hospitality at its best. The newly refurbished facilities include a sea view pool, a pool bar, and open air breakfast area by the pool, lounge area and car parking. Free Wi-Fi internet access is available throughout the hotel.The Rena Suites Hotel is a Tourist hotel. Located in Fira area. Shopping is accessible by bus/taxi and the nightlife/restaurants are easily accessible by taxi or bus from the hotel.